Silver Fox, the UK manufacturer of cable labels, have just launched a new updated range of thermal starter pack - the Fox-In-A-Box Labelling kit. 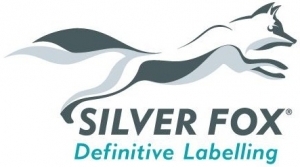 T&D are Main Distributors for Silver Fox Cable Labels and can provide expert technical recommendations, specification guidance and installer training. T&D are proud to support UK manufacturing and develop business opportunities in the rail, solar, power, oil and gas and industrial sectors. "Everybody at Silver Fox are looking forward to working even closer with the team at Thorne and Derrick to build further on our already successful working partnership! Thorne and Derrick is a hard-working and well-respected distributor that is geared to professional customer support. We are proud to include them as part of our distribution network," Suzannah Hale, Marketing Executive (Silver Fox). This is ideal for users who just want to cut and paste information then print the cable labels. Should they want to do more then there is a seamless upgrade path from the Advanced to Professional levels ready to go. TIP the initial investment is not wasted! It’s always the same printer with the same ribbon – whatever the level of software and which ever cable labels need printing. To make it easier, all levels of software have internal videos. From these, the user can learn how to run the software in just 5 minutes by watching the video. No internet access is needed! All Silver Fox Thermal Labels are printed using the Same Software, Same Printer and Same Ribbon. Silver Fox Fox-In-A-Box Cable Labelling Kit - Standard, Advanced or Professional? 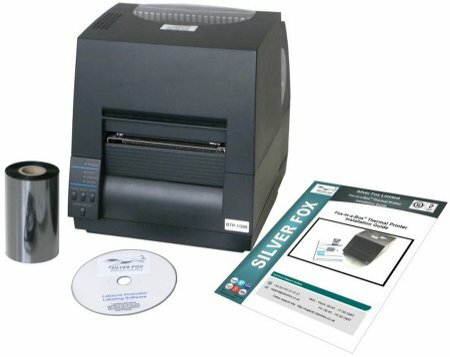 The Fox-In-A-Box is available in three levels which offer increased software functionality for the DTP1/300 thermal printer - standard, advanced and professional. The standard Fox-In-A-Box allows for users to create their own thermal labels, whilst the advanced package adds the ability to accept or merge one or more columns in csv files and to split the label into more than one line. It also allows you to override the auto font sizing and manually set this as required and to print from 2 rolls at the same time halving the print time and print ribbon capacity. The professional model adds further functionality allowing the user to view and select individual or groups of cells for importing, duplicate cable ID's, amend the number of labels required for each cable ID or produce cross ferruling ID and even print both ends of a wire at the same time. Additionally the Professional Fox-In-A-Box can print bar codes and QR codes and import graphics for use such as printing warning signs on cable labels.